Congress recently provided the Army with more acquisition flexibility to support an accelerated fielding process. The Army can now leverage a middle-tier acquisition authority under Section 804 of the fiscal year 2016 National Defense Authorization Act. A shift in Army culture is necessary to accelerate the fielding of new Army systems and improve industry collaboration, Army acquisition officials recently said. “We have to fundamentally change some of our cultural biases and the ways we are used to doing business,” said Jeffrey White, principal deputy assistant secretary of the Army for acquisition, logistics, and technology. White and other acquisition officials participated in a panel discussion about contracting, acquisition, logistics, and technology for integrated reform during the Association of the U.S. Army’s Global Force Symposium on March 28. 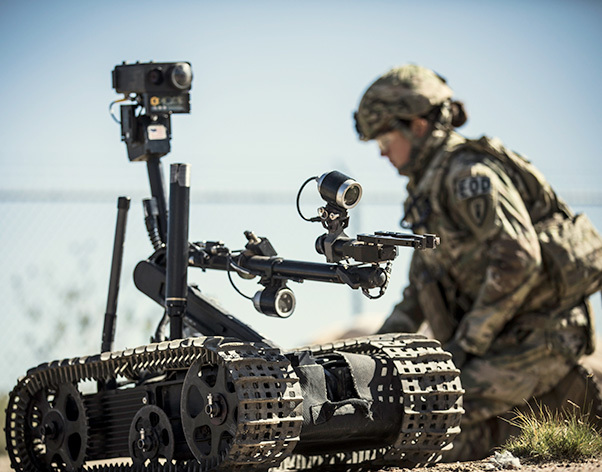 Congress recently provided the Army with more acquisition flexibility to support an accelerated fielding process. The Army can now leverage a middle-tier acquisition authority under Section 804 of the fiscal year 2016 National Defense Authorization Act, White said. MTA is a rapid acquisition process that focuses on delivering capability within two to five years. The force can also utilize its other transaction authority, or OTA, to accelerate necessary programs, he added. Further, Army Futures Command has made improvements to its requirements process, which helps define what products the Army will acquire. “They are trying to drive it down from a five-year process … to less than a year — sometimes 12 weeks,” said White, indicating that this is a shift from the current Army culture. Similarly, the Army seeks better ways to collaborate with industry, he added. For the past decade, Army officials avoided engaging with industry, in fear of providing them with a competitive advantage. In turn, the Army has become more “risk averse,” he said. “That has led us to believe we should not engage with industry, and nothing could be further from the truth,” White said.